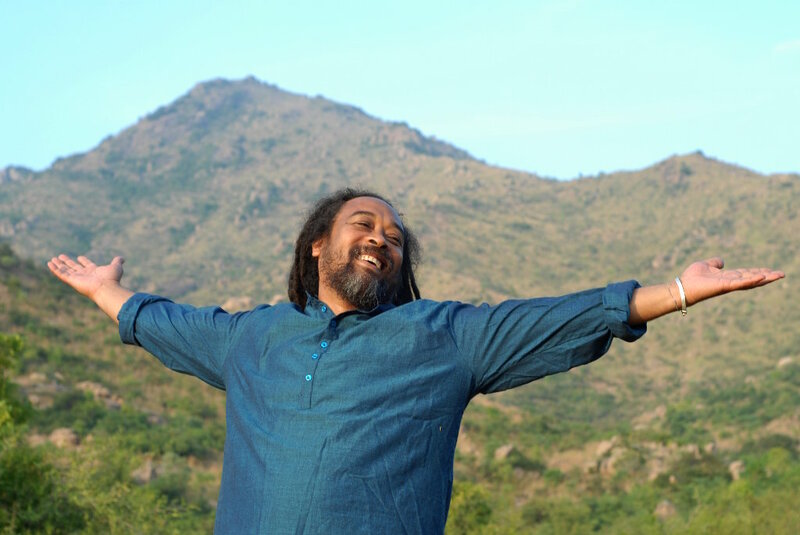 Mooji. Until just a few days ago, this was a man I had never heard of. A friend of mine passed on a video where Mooji discussed the binding nature of Sadhana, or daily spiritual practice. 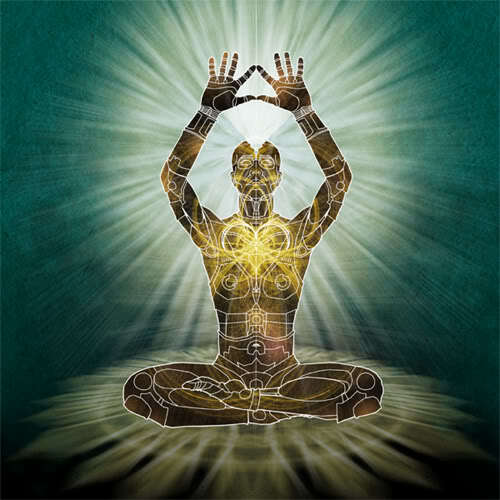 As a kundalini yoga teacher and student, I am well aware of sadhana. Well aware. Waking up at ungodly hours (although they are in fact known as the most godly) followed by half asleep yoga sets and painful 28-minute arm-melting asanas are the instinctual images that come to mind. However, what Mooji was referring to was a broader sense of sadhana that takes on many forms, including the entirety of spiritual practice. Evening practice? Not. Morning Sadhana before sunrise. In his view, sadhana is beneficial for only so long before it becomes an impediment. A waning fan of early morning sadhana, this intrigued me. 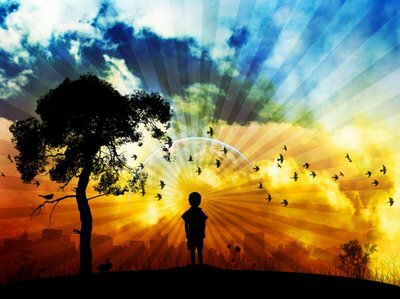 He said that all spiritual practice and thought is a form of interference, which can withhold liberation. I defensively asked myself, “How could spiritual thought become an obstruction to spirituality?” I was starting to ignore his words, but something inside of me kept listening. He continued his explanation that spirituality is great for those who are without any other means or understanding of the metaphysical. It brings the newborn into a world of possibility. However, much like the training wheels on a bicycle, spiritual practice begins to hold one back from experiencing true freedom. Hearing this, I didn’t know what to think. So much of my life is about spiritual practice. So, for the time being I ignored his reflections, but surely enough, within a few days, I was unable to deny them. I have always worried about my addiction to meditation and yoga. Much like any other addiction, when I do not make use of it, I feel its absence. For me, this translates into a daily practice. I have always known that all the spiritual things I do have never been the source of my happiness, clarity, or balance. At the end of the day, I am the one who decides how I experience my life. Meditation, yoga, and whatever else just grease the wheels. I am the one who steers. So for the past few days, Mooji’s message of forgetting enlightenment and all the rules of spirituality have plagued me. There is comfort to my practice. I like setting the rules that control, and even dicate, my life. However, at what point do these rules limit the possibilities of experience? If I have to meditate 2 hours a day, teach class, listen to mantras, and send countless blessings across the universe just to have a normal day what am I really gaining, besides more practice? Even the word practice assumes that you are not that which you want to become. And spiritual practice continually tells us that we are not yet enlightened, that we must spend x amount of time and effort to attain realization, and that this is all a gradual process. As I start to look at it different, it seems like just another system of control. I needed it in the beginning, but do I need it now? Is it holding me back? What if we can all be enlightened right now, with one true thought? Just one thought, like a key to a lock. Once open, the humor of it shines through. This is my dilemma. Venturing into the unknown without my training wheels is a bit scary. What if everything collapses and I find myself worse off than where I was? What if I become less conscious and succumb to ignorance? What if all my fears are just an illusion that keeps me practicing my practices? What if enlightenment is simply realizing that we are perfect; have always been, always will be, and can never not be perfect. Even when we are imperfect, we are perfect, for we are not our sentient bodies, which includes the mind. All judgment arises from thought and all thought is not our true Self. Our identity as universal is that which exists behind our thought. This identity is already complete, enlightened and perfect. Understanding this is the only true spirituality that can exist. It is not a practice, but a law. We are already enlightened, we only choose to believe we are not. And we create the boundaries, pace, and limits of our growth through our spiritual practice and intentions. At what point must we move past these barriers and experience true liberation, the freedom from our own suppression? This is where I am. What will come next, I do not know, but one thing I have come to understand in my life is that once the seeds of awareness are planted, there is no turning back. And truthfully, I wouldn’t mind freeing up 3 hours of my day. Enlightened is all we can ever be. I taught my first Kundalini yoga class one week ago today. I taught my second class this evening. From these two unique experiences I have come to understand the meaning of holding space. As a student, my teachers preached about the importance of holding space. “A good Kundalini teacher does not mediate with the class, he holds the space.” “Hey man, you did a great job holding the space, you were solid like a rock today!” “She can guide the class with her space.” This space holding business was sure relevant in Kundalini yoga. I figured one day I’d have to learn it, but all this talk was not giving me what I needed to know. It was not until I taught my first two classes did I really understand what holding the space was. The best way to describe it is by recounting my experiences from teaching class. Besides being very nervous, anxious, and…well, just plain nervous, my first Kundalini yoga class could be describe as an abstract painting. Not an abstract minimalist painting or even anything resembling any sort of organization. My painting was a Jackson Pollock on steroids. The energy of the class was all over the place. Not only could I feel the energy of each individual straying from my intended path, but I could physically see the scattered energy in the bodies and faces of my students. All I could think about was moving through the kriyas and finishing the class. I was worried about my actions as a teacher in the form of instructing – not guiding, not holding the space. It was not until after that I realized what I had done. The space I held was not being held at all. It was in fact abandoned. I might as well been turned around facing the same direction as the students because I was neither leading nor teaching the class. From this, I knew what not holding the space was. Now, I needed to find out what it was to hold it. Fast forward to tonight. I came to class much more relaxed. Having experienced the anxiety release of actually completing a public class and still being able to breath, walk and live happily, I was excited to teach again. I had a lot to work on. 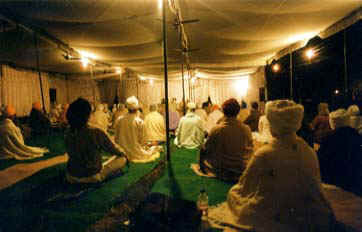 Every Kundalini yoga class begins with a chant. 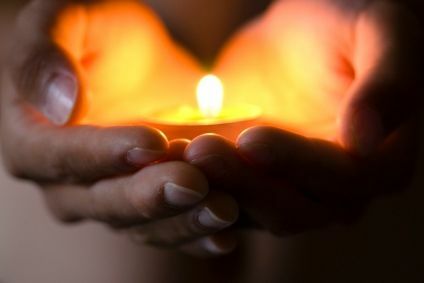 The Adi mantra (Ong Namo Guru Dev Namo) is reverently chanted three times to honor the divine wisdom and creativity from within and to give praise to those who have taught before us, honoring their legacy. This mantra sets the tone of the class. The week prior, I had had a poor tuning in. I had chanted nervously and from my throat. The result was frantic and chaotic. Tonight however – as I chanted from my navel – I noticed a difference. I owned the space. The class was focused and I guided them through the chant. At the end of the chant I had the attention of the class on all levels. As the class went on, I had the urge to study my upcoming instructions – as if to perfect my verbal communication of the postures. As I did this I felt a strong urge to stop reading and to sit still. I went with this force. I sat. In this space, I understood what I was holding. I was ushering the energy of my students into an area where they could experience their higher self. By sitting still and overseeing the playground of consciousness, I was clearing the path to their experience – whatever that may be. It was effortless. It involved a clear mind. A thoughtless mind. It required intention, love and care. It was a product of surrender and humility. I was not the path, nor the reason it was there. I was merely a vessel. A sign that gave direction. In this experience, I understood what space was. I experienced space and the importance of the teacher. In this space, information came to me. I was so afraid of not having anything to say in my first class. I constantly found myself short of words and those that I did speak did not vibrate deeply. However, tonight while holding the space of the class, words came to me. One profoundly poetic phrase had me rethinking its origin, as it surely did not spring from my consciousness. Part of the work of a teacher is to instruct: teaching yoga postures, lecturing a child, explaining math problems, running a sports practice. The other part of teaching is to inspire. A true teacher guides their pupils by providing an arena that will clear the path leading to their greater selves. This arena is the space. The classroom, the yoga studio, the football field, and home are all arenas. These are all areas of space that must be held. In doing so, we are providing a better future for the world by guiding her students into their highest being.